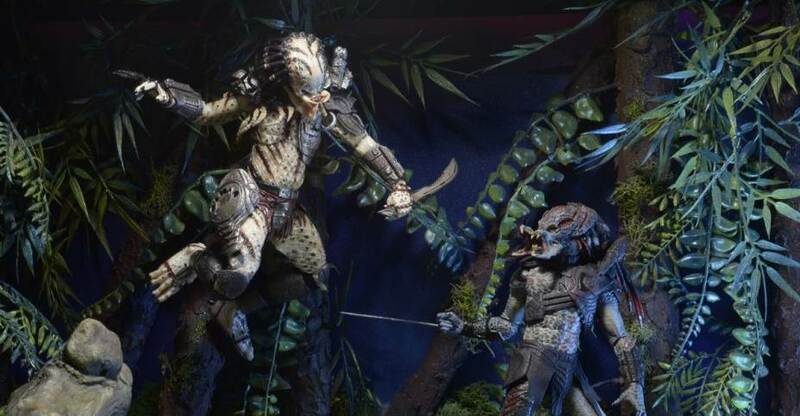 Here are the Injustice, Aliens, and Predator 3.75″ Scale figures from Hiya Toys at Toy Fair 2019. 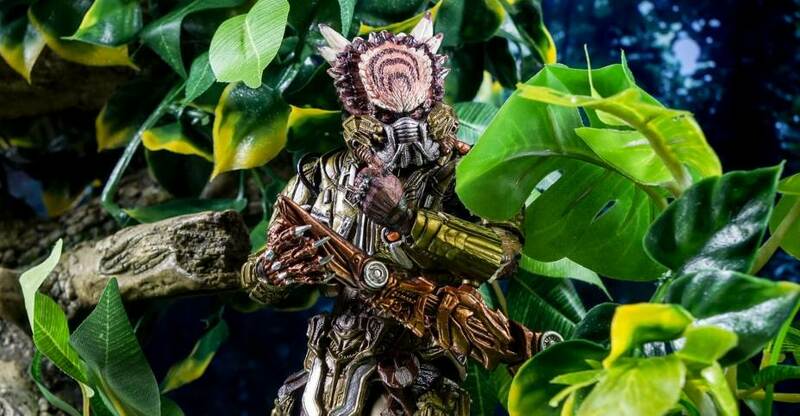 A few new photos have been released by Hiya Toys for their next two Predator figures. Also, Toyark sponsor Big Bad Toy Store has opened pre-orders for the figures. 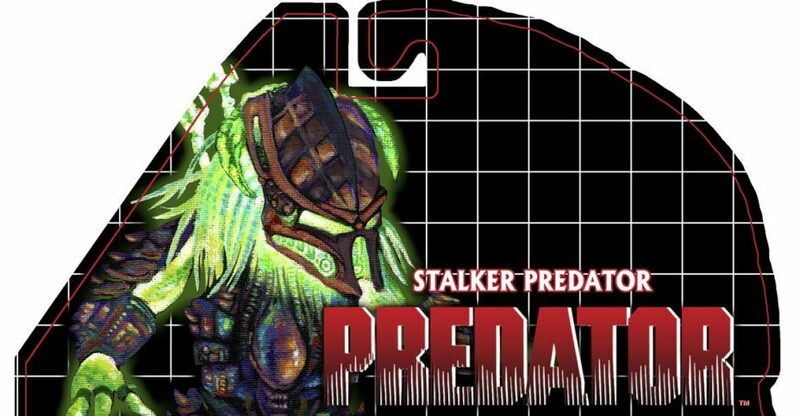 The newest figures are 3.75″ scale version of the Stalker Predator and the Lost Predator, both from Predator 2. Each figure stands about 4.5″ tall. they will include interchangeable hands, an assortment of weapons and a figure stand. They are priced at $19.99 each with a release set for February 2018. 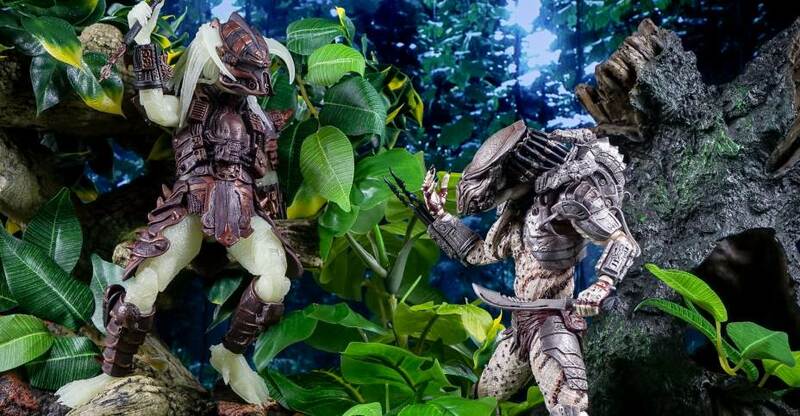 You can pre-order all of the Hiya Toys Predator 1/18 Scale Figures by Clicking Here. Read on for the photos. The figures are priced at $19.99 each and will include interchangeable hands and accessories. They are due out in February 2018. Read on for images of the 3D models for each figure. 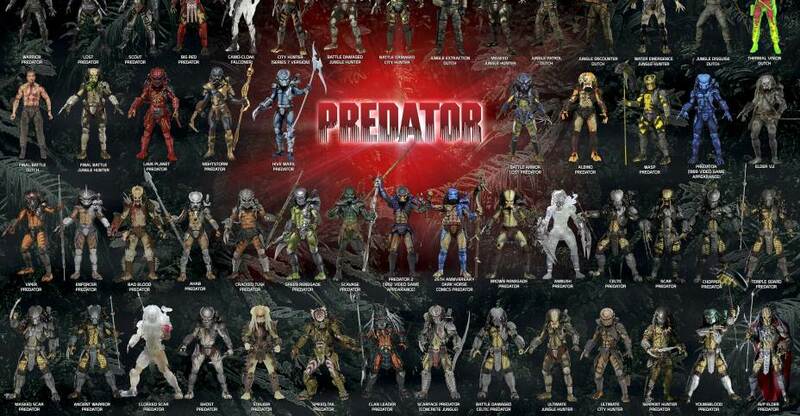 We’ve updated two different versions of our Predators action figure visual guide to be completely current! Both include all our Predator action figures to date, and one version additionally features a gallery of card backer art. Available as extra-large, 300 dpi JPGs. Download links appear below each image. You can check out both visual guides after the jump. For much larger versions, visit the NECA Website to download them. In case you missed it, we had the very first in-hand gallery of these outstanding Kenner inspired Predators. You can check out the gallery by Clicking Here. In their longest running toy line, NECA has been able to take some great risks and delve deep into the expanded universe to bring fans fun and unique Predator designs. 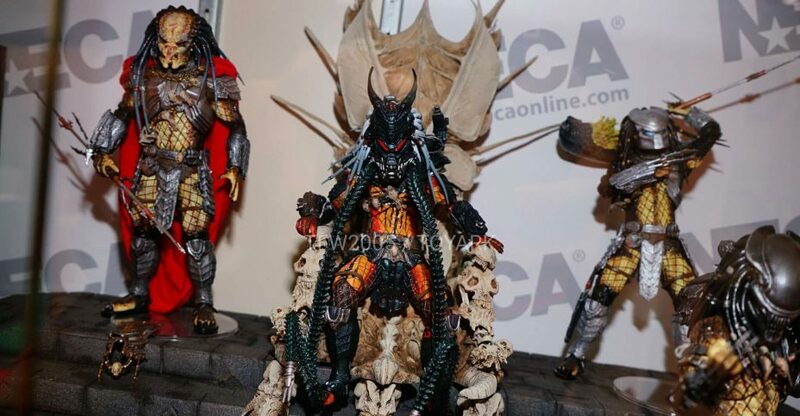 They’ve pulled from movies, video games, comics, fan films, and classic Kenner figures to give fans a massive selection of different Yautja for their collections. Predator Series 16 is their third wave of Kenner tribute figures, as they released a Kenner wave in Series 10 and 13. They’ve also released a few exclusives, and even a vehicle! The new wave features the Ghost Predator, Spiked Tail Predator and the Stalker Predator. NECA was kind enough to provide us with a first look at the figures. We have a massive gallery of over 150 photos! Check out the photos and our review after the jump. 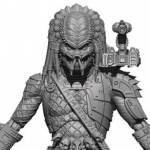 NECA’s Predator Series 16 is scheduled to ship out next month. They’ve received production samples of the figures, and have put them through a massive photo shoot. 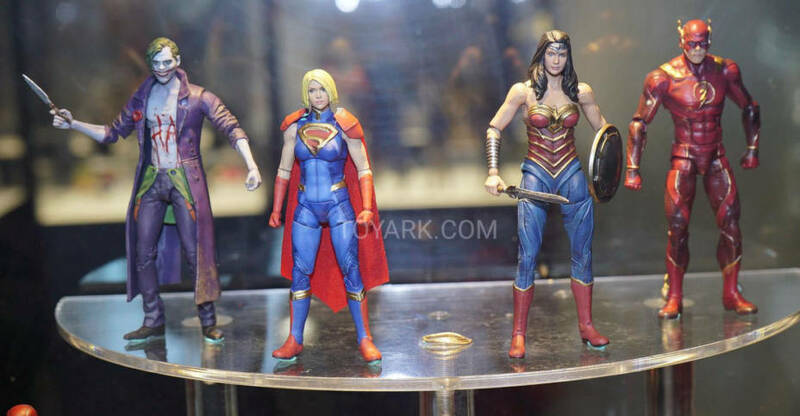 These also include out first look at the final packed figures, the updated body types and more. You can see all of the new photos by reading on. Descending from the Night Hunter Clan near the southern pole of Yautja Prime, Stalker lives in a world of complete darkness. Having developed unparalleled night vision technology, the members of Stalker’s clan hunt in coordinated packs over large, open areas. Their translucent skin is an environmental adaptation that allows their phosphorescent green blood to shine through, and that glow acts as a location sign in the absence of light. Pack hunting offers a great advantage, for while most creatures in this area are blind, their prey is also much larger than them and thus extremely dangerous to take down alone. Stalker and his clan are very removed from the rest of the planet and thus hunt more for survival than for sport. The Night Hunter Clan is one of the few Predator clans that does not possess cloaking technology, as it is of no use in this environment. The Predator Series 16 Figures are scheduled for release soon. Click the banner image for the full card back.